Ticks are sturdy survivors. Some species live up to three years. Some can emerge at temperatures as cold as forty degrees, and survive the winter in leaves or brush. They wait for their hosts in tall grass and wooded areas, often along paths used by people and animals. Attracted to warmth, moisture, odors and vibrations created by our bodies, ticks do not jump or fly, but they are ready to attach when we get close. Ticks have four life stages: egg, larva, nymph, and adult. Each of the last three stages requires a host to feed upon in order to progress to the next life stage. The ticks that are of concern are the 3-host variety, meaning they feed on a different animal species during each life cycle. That means that a tick that is found on your dog will not crawl off of your dog to attach to you. The tick would have to complete its feeding, and develop to the next life stage before it could attach to you. The vector-borne diseases (the term commonly used to describe an illness caused by an infectious microbe that is transmitted to people by blood-sucking arthropods) we see in our pets include Lyme disease, Rocky Mountain spotted fever, ehrlichiosis, babesiosis, and anaplasmosis. Symptoms our pets may experience include fever, lameness, joint and muscle pain, lethargy, enlarged lymph nodes, decreased appetite, and even anemia, nose bleeds, and kidney failure. In Central Virginia, many dogs are exposed to ticks transmitting the bacteria that can cause Lyme disease. The good news is, of the pets that are exposed to Lyme, only a few will become symptomatic and even fewer will have serious consequences of the disease. 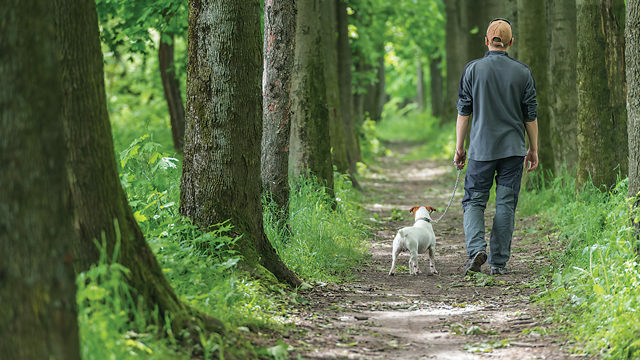 We must remain vigilant, however, in protecting ourselves and our pets from ticks. This is a growing problem that is expected to worsen in the years ahead. Veterinarians expect to see more incidences and even more types of tick vectored diseases. 1. Use good quality tick control on your pet year-round. There are several products available including collars, monthly topical treatments, and monthly oral medications. 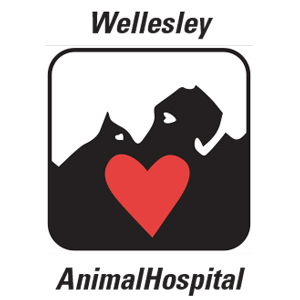 Your veterinarian can provide advice and products of the highest quality and efficacy for your pet. 2. Regularly examine your dog for ticks. This means daily in Virginia. Remove ticks safely. The Center for Disease Control (CDC) cautions that ticks should not be removed with your bare hands or crushed between fingers. Use a tweezer or other device and grasp the tick as close to the skin surface as possible. Flush the tick or wrap it securely in tape or a plastic bag if you are going to throw it away. 3. Test for tick diseases. The heartworm test that has been a staple of dog care for years is now a heartworm and tick disease test. It is a routine and inexpensive annual test that can be used to determine if your pet has been exposed to the diseases that ticks transmit. The test is a screening tool and does not determine if your pet is ill or suffering from a tick disease. However, it does indicate exposure and your veterinarian can recommend further testing or treatment if needed. Remember, you live in the same environment as your pet, so his exposure means YOU and your family could be exposed as well. 4. Vaccinate your pet for Lyme disease. There are vaccines available for your dog to aide in the prevention of Lyme disease. They do not protect against other tick diseases, but discuss this with your veterinarian. 5. Decrease incidental exposure to wildlife by fencing your yard and keeping pet food and water bowls inside your home. Ticks are second only to mosquitoes in the transmission of disease. To keep your pets and your family safe and healthy, tick control is crucial.